Ecologists from Geographic Consulting have conducted forest enrichment and forest restoration experiments and demonstration projects under a wide range of conditions. 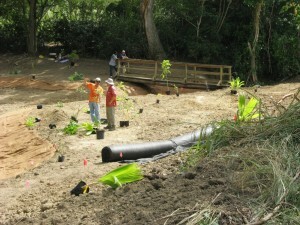 Brian Daley began a demonstration project in 2002 at the University of the Virgin Islands that demonstrated native trees could be established with high success and minimal inputs. 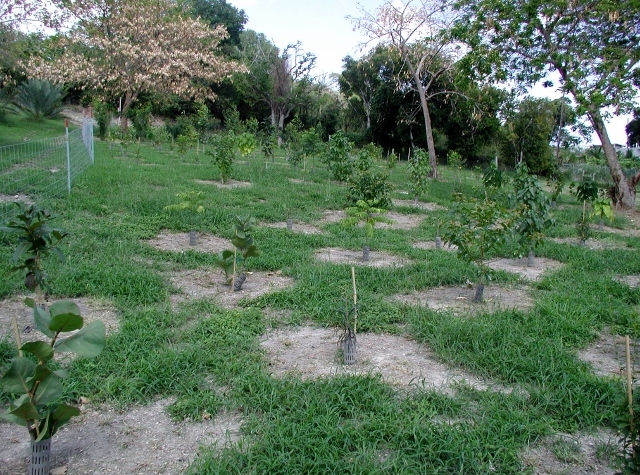 Data from this project includes growth rates and time from germination to fruit production for various tree species. 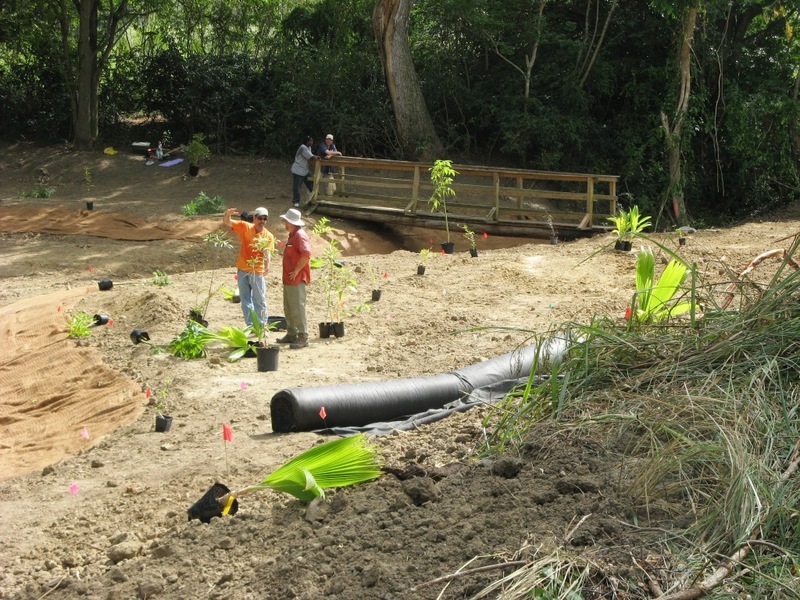 With the Virgin Islands Resource Conservation and Development Council, we grew and established trees on a degraded waterway. The banks of the ‘gut’ (ephemeral stream) were regraded creating a flood plane and reducing erosion. The native trees were planted in a natural fiber mat. Geographic Consulting was awarded an American Recovery and Reinvestment Act Project , in which we conducted a comprehensive roadside tree inventory and health assessment of those trees. During that project we identified roadsides where additional tree planting was appropriate. 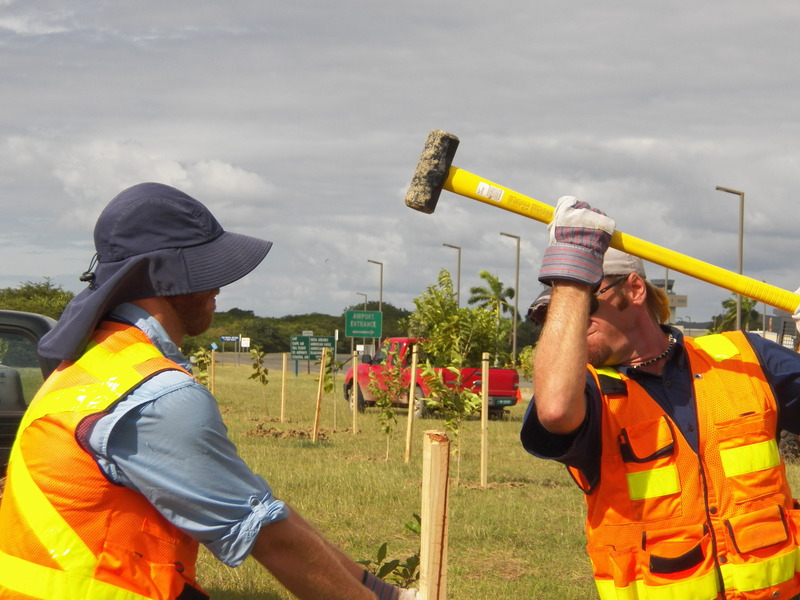 One such site was near St. Croix’s airport, where we planted over 100 roadside trees. The project highlighted appropriate native tree species as well as appropriate planting practices for urban settings. Our team conducted three other similar roadside tree planting demonstrations as part of the project. Please notify me of new posts: lisa.yntema@gmail.com Thank you.